Comfy, functional, gets the job done. This is a simple car, but it has held up very nicely up here in Vermont. The gas pedal can be a bit touchy at times, but it is not very surprising considering the car is on the older side. It is an all-around reliable, comfortable car though, and I would highly recommend it to anyone who needs a car for college (like me) or is otherwise just not planning on owning it for too long. It is big blue car that is really good to drive in the snow. My car doesn't have a lot of problems because it is still in good shape, but I like how it runs in the streets, and a trust that car for some reason, it is really helpful to have a car, you just have to try to take good care of the car and drive carefully and nothing will happen to you. Pearl white is nice and has stood the test of time in the Arizona climate. 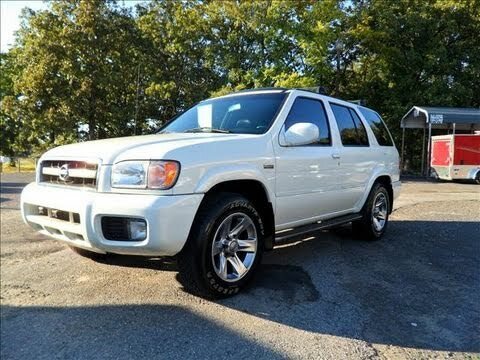 Purchased this vehicle used and although there have been a few issues; the Nissan pathfinder is one of the best cars I have owned. The car is very comfortable and the Bose stereo system is great sounding. I also love the sunroof and is a must have in future car purchases.